Stephanie Michaelson manages a group practice of four neurologists in an area of southern Florida that includes a large population of Spanish-speaking patients. When their only bilingual secretary — and ad-hoc interpreter — left the practice, Michaelson was apprehensive. Although some patients bring English-speaking family members to their appointments, some non-English-speaking patients come alone. In her research, she discovered that foreign language tele-interpretation costs would be $3 per minute with a 15-minute minimum. With rapidly rising operating expenses and increasingly narrow margins threatening neurology practices, this cost is hardly trivial. What is our legal obligation to provide language interpreters and are there any ways to ease the financial burden? Michaelson's concern is well founded. In 1984, the misinterpretation of a single word led to a patient's delayed care and quadriplegia that was considered preventable. When 18-year-old William Ramirez was transported by ambulance into the emergency room, his mother and girlfriend told the doctors, paramedics, and emergency room staff that he was “intoxicado” — Spanish slang for dizzy and nauseated. The office staff spoke no Spanish and assumed the man was inebriated or on drugs. Still undiagnosed two days later, the patient went into respiratory arrest and was found to have a cerebellar hematoma with brainstem compression as well as a subdural hematoma. The hospital, paramedics, and physicians involved in his case were all sued, and the Miami hospital ended up paying a $71 million malpractice settlement. Current federal laws are based on Title VI of the Civil Rights Act of 1964, prohibiting discrimination against “limited English Proficient (LEP)” persons. In 2000, the Department of Health and Human Services (DHHS) published an LEP policy guide for providers, including all health-care providers and physicians receiving federal money, such as Medicare or Medicaid. The American Medical Association and other physician groups asked for an immediate moratorium on the guidelines, citing a case in which one physician had spent $237 for an interpreter for a non-English-speaking patient and the Medicaid reimbursement for the patient's visit was $38. ”Forced to absorb this type of cost for all Medicaid non-English-speaking patients, many physicians will decide not to treat any Medicaid patients,” the organizations wrote in their letters to DHHS. In 2003, the DHHS revised its guidelines to provide reasonable steps to ensure access for LEPs and conduct individual assessments of responsibility to provide these services. The DHHS suggested a four-factor balancing test (www.hhs.gov/ocr/lep/lepfactsheet.html): 1) The number or proportion of LEP persons eligible to be served or likely to be encountered by the program or grantee; 2) the frequency with which LEP individuals come in contact with the program; 3) the nature and importance of the program, activity, or service provided by the program to people's lives; and 4) the resources available to the grantee/recipient and costs. The District of Columbia and 12 states — Hawaii, Idaho, Kansas, Maine, Minnesota, Montana, New Hampshire, Utah, Vermont, Virginia, Washington, and Wyoming — provide reimbursement for Medicaid patients. Texas, North Carolina, and California have begun to consider doing so. Detailed information is accessible at www.healthlaw.org/library.cfm?appview=folder&rootfolder=23177&fa=detail&id=71227. Riveness said a new bill is working its way through the Minnesota legislature this year; effective July 1, 2008, it would require health plans to cover language interpreter services provided to enrollees with LEP. The health plans would be mandated to either create a network of interpreters accessible to providers, or reimburse providers for services provided by staff interpreters, he explains. Hopefully, a precedent set by Minnesota will spread across more states, he said, but for now, most physician offices rely on friends or family members to accompany patients and translate for them. While this is convenient, it is fraught with pitfalls. Jennifer M. Gannon, a medical malpractice defense attorney with the Seattle, WA, law firm, Williams Kastner, said: The LEP guidelines were enacted without simultaneous funding for interpreter service, a problem raised by the AMA and one that continues to be an issue. Gannon suggests that providers investigate funding available from private sources, whether there are volunteer interpreters through community services, or consider hiring bilingual staff members. “Without professional medical translation, at best, patients may lack sufficient understanding to make informed decisions; at worst, patients may inadvertently be coerced into decisions,” he said. Maintain a list of interpreter services: Include information on their availability, fees, and experience with medical terminology. When possible, use bilingual staff: Bilingual staff may serve as ad-hoc interpreters and help patients feel more comfortable. It may be cost productive in the long run to send staff members to classes in which they may learn medical terminology. Medical malpractice defense attorney Jennifer Gannon, of the law firm Williams Kastner, responds to case scenarios inquiring about the responsibility to provide foreign language interpretation. DO THE FEDERAL LAWS APPLY TO A SOLO NEUROLOGIST IN TOLEDO, OH, WHO HAS A PRACTICE REFLECTING THE TOWN'S PRIMARILY ENGLISH-SPEAKING RESIDENTS. SHE SEES PATIENTS WITH LEP INFREQUENTLY, AND ACCEPTS MEDICARE PATIENTS. Because the neurologist accepts Medicare patients, and therefore federal funds, the Office of Civil Rights guidelines would apply to her. However, in 2003, DHHS revised its guidelines and recognized that not all providers are the same. This is where the four-factor balancing test comes in. The number or proportion of LEP persons is relatively low for this provider, as is the frequency with which LEP persons come into contact with her. But the nature and importance of being able to seek and obtain medical treatment is very high. I would suggest the provider do some legwork to find out whether there are community resources available and costs — have, for example, a phone list of possible phone interpreters or printed “I Speak” cards at the front desk. HOW DO THE LAWS APPLY TO A NEUROLOGIST WORKING IN A SEVEN PHYSICIAN PRACTICE IN MIAMI, A REGION WITH A HIGH PERCENTAGE OF SPANISH-SPEAKING PATIENTS? With a higher population (and number or proportion of LEP persons likely to be encountered) as well as a higher frequency of service, DHHS would likely have an even higher expectation of adherence to the guidelines. A NEUROLOGIST IS CALLED INTO THE HOSPITAL AT 2 AM TO EVALUATE A STROKE PATIENT WHO SPEAKS KHMER (OR ANOTHER RARE LANGUAGE). THERE IS NO FAMILY AND AN INTERPRETER CANNOT BE MADE AVAILABLE WITHIN THE THREE-HOUR WINDOW TO ADMINISTER TISSUE PLASMINOGEN ACTIVATOR. WHAT SHOULD BE DONE? Things certainly change in an emergency situation. While the provider should strive to comply with the federal guidelines, the guidelines do not supersede the provider's duty to provide the patient with medical care. Personally, I would rather defend a compliance investigation undertaken by DHHS than a wrongful death lawsuit. 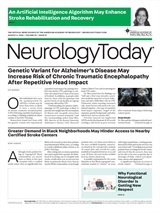 Neurology Today7(11):18-19, June 5, 2007.